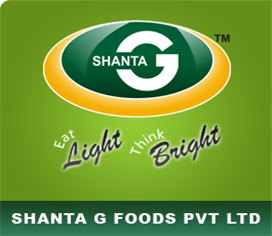 We are specialized in Food products very well known as Traditional Taste of Gujarat,"SURATI KHAKHRA". A completely hygienic snack made up from Wheat Flour, Edible Oil and Iodized salt. Totally Crispy and Crunchy SADA Khakhra best to have with Chhas Masala with Ghee, appetite of onion, unripe mango, tomato etc. 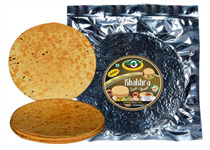 We are providing all Kahkhra packing in a vacuum pack. A vacuums pack is of 200 g of pack. Brownish Crunchy and Crispy Khakhra best to have it with Tea or Coffee, made from Wheat Flour, Edible Oil, Cumin Seeds, and Iodized Salt. 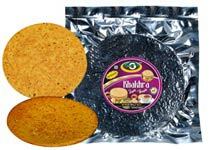 We are providing all Kahkhra packing in a vacuum pack. A vacuums pack is of 200 g of pack. 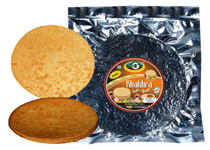 Crunchy tasty Khakhra with qualities of fenugreek leaves (Methi) greenish Methi Khakhra is our speciality and we have made up with Wheat Flour, Edible Oil, Red Chilly, Turmeric, Kasuri Methi and Iodized Salt. 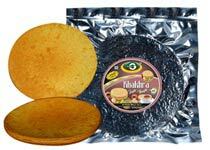 We are providing all Kahkhra packing in a vacuum pack. A vacuums pack is of 200 g of pack. Chatpata Masala Khakhra having enrichments of Indian spices with traditional Indian taste made up with Wheat Flour, Edible Oil, Iodized Salt, Cumin Seeds, Azwain, Turmeric, Red Chilly. Masala Khakhra is our speciality and mouthwatering taste will magnetize you to have it more and more. We are providing all Kahkhra packing in a vacuum pack. A vacuums pack is of 200 g of pack. Full of protein and enrichments of Mung beans, best for kids and aged people for protein balancing. made up with Wheat Flour, Edible Oil, Iodized Salt, Moong Dal, Seasme Seeds, Red Chilly, Turmeric. We are providing all Kahkhra packing in a vacuum pack. A vacuums pack is of 200 g of pack. Tasty and Spicy Khakhra with delighting taste of Garlic and Green Chilly made up with Wheat Flour, Edible Oil, Iodized Salt, Green Chilly, Garlic, Turmeric. 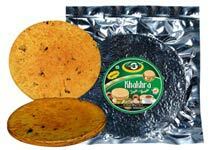 We are providing all Kahkhra packing in a vacuum pack. A vacuums pack is of 200 g of pack.